I have with me today, author Jamie Salisbury, who writes romance novels. I know, not my usual genre, but I really like talking to authors outside the genres I read to understand the differences in genres, the differences in writing styles, and reasons why I should be interested in the books. So, without taking to much of your time, here it is! Romance, historical and contemporary. Women’s fiction, chick-lit. How do you come up with the idea for the books? Usually, the idea just drops out of no-where. When and why did you begin writing? What do you enjoy most about writing? I’ve been writing since I was a child. I started getting serious in high school when I took a creative writing class. What I enjoy the most about my writing is taking something from a simple idea I had in my head and turning it an actual story. Where do your stories come from, a dream, imagination, or something completely else? There is no one place where they come from. One could be loosely based on true life, another may be totally fabricated. Satisfying. I had tried going the traditional route and got shot down. So I started researching doing the indie publishing/ebook route and that’s where I am. It’s a great fit. 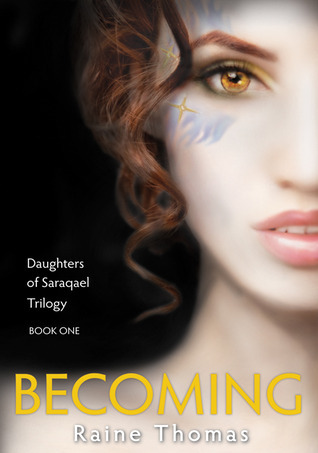 Giveaway of Becoming (Daughters of Saraqael trilogy) and Guest post! My good friend and terrific book blogger, Alexia is hosting an amazing author on her blog. Raine Thomas stops by and she has a lot of goodies for you! She is giving away a copy of Becoming: Book One of Daughters of Saraqael Trilogy to one lucky winner! She also has a guest post about how indie authors can better connect with and listen to readers. How many times has it happened that you’ve wanted a series to continue, and want the amazing characters the author has developed to keep coming back? I know it happened to me recently. Author Michael J Sullivan published the final book in his ‘Riyria Revelations’ series, and a lot of readers, including me were left distraught. So, hop over to Alexia’s Chronicles and check out the amazing guest post where author Raine Thomas discusses how she listened to readers and continued to write in the world in which her first series was set. Don’t forget to weigh in on the discussion in the comments here and on Alexia’s blog! Tell us what you think about authors continuing series on the demand of fans. Also tell us about which series you think should have continued and which should have ended sooner! Here is a list of the amazing goodies you will find on Alexia’s blog. You definitely don’t want to miss this! You may know by now that I really like SF books. So, when I got an opportunity to interview author Dr. George H. Elder, I jumped at it, as I wanted to know how SF authors go about creating their worlds, the science and all the things that make SF books wonderful. So, lets get to it, I can’t wait! Describe your book? What genre would you classify it into? Amazon classified the Genesis series as Sci-Fi Adventure. The book is basically a quest story, with the key twist being that it is set at the end of time. The universe is dissolving in an entropic whimper, although many of the extant species of the time are desperate to kick-start another cycle. The question is, how? Ancient legends speak of a being of unimaginable power who once united the entire universe for an unforgettable moment. However, this “Seeker” was a very flawed being, one who exterminated over ninety-nine percent of his own kind. He locked himself in perpetual dormancy to contain his savagery, and his location was lost over the passing eons. Missions are sent to find the missing Seeker, but some are diverted by unknown forces. One such mission ends up on a seemingly primitive planet, the home of a stone-age culture called the Labateen. Here we meet Kara, the outcast daughter of a Labateen noble. She encounters the misdirected mission, and soon finds herself as part of its crew. Thus begins Kara’s journey to find the missing Seeker. She will go through deadly battles, be aboard titanic ships, and learn that nearly everything she believed was a lie. In the end, she wants to have never been born. Then she shall arise from the ashes… but how and why would be telling. I write because I want to understand others as well as myself. I first started expressing myself at a very young age though poems, song writing. But finally found my true passion. Novel writing. My first novel The Broken Destiny is as I am sure many authors can relate to, is a combination of my experiences my world and the world inside my head, understanding myself as well as others , and feeding the passion. An almost craving for the feeling that writing has brought me. I have overcome the biggest obstacle of my life – to believe in myself , to prove myself to no one but myself of what I am capable of. To be a hard worker and enjoy it. To see things through. Through writing I have learnt a lot about myself. Finally being able to move on from my mistakes. 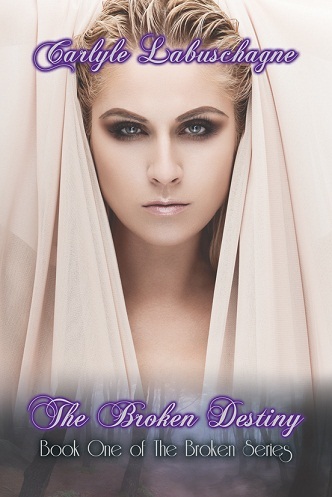 The Broken Destiny is about a girl who has to find her true self to unleash her Destiny towards greatness. Every person has good and bad, and everything comes down to a choice, and sometimes making the wrong choice is actually the right choice at the time – To grow, to learn – To love yourself. The only person who can hurt you is you. You are your worst enemy. Don’t change who you are for the sake of satisfying others, in the end it hurts only you. Your path is one of greatness and being true to yourself is the greatest gift you can give yourself and others. But it is often only through experiencing who you are not to know who you are. To know the light you have to have experienced the dark. But always remember everything you go through, no matter how hard – is for a reason. Writing gives me great pleasure and satisfaction. Writing heals. My desire for everyone is to find that one thing and go for it, no matter how impossible it may seem at the time, you will never know if you don’t try, and once you have tried you will know you can never be without it. If you have a passion, you can perform deeds you never thought you were capable of. Don’t be crippled by fear. Let love and passion give you wings. Ritesh: So, tell me, why do you write? What is it that makes you do it? I am the Author of The Broken Series. My tales stem from my experiences in South Africa, and brought them to my world of Science – Fiction, fantasy and Paranormal. The Broken Destiny currently to be released in 2012 through US publishers, and will be available through Amazon , B&N and many more . Currently working on Evanescent #2 in the Broken Series. My goal as an Author is to touch people’s lives and help others love their differences and one another. Her Destiny is to rise above the fall that threatens her soul; her soul is the key to unleashing a secret weapon. She will become what she hates to save the ones she loves. Through it all she will find herself for that is her destiny. Her Destiny starts with betrayal. The broken Destiny book one of the broken series.